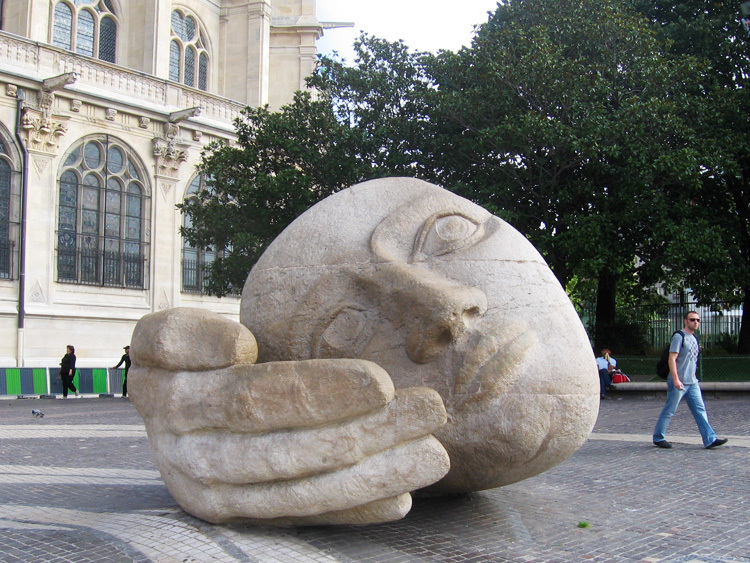 One of my favorite churches in Paris is the Église Saint-Eustache (Map), and one of my favorite weird works of art is inside. 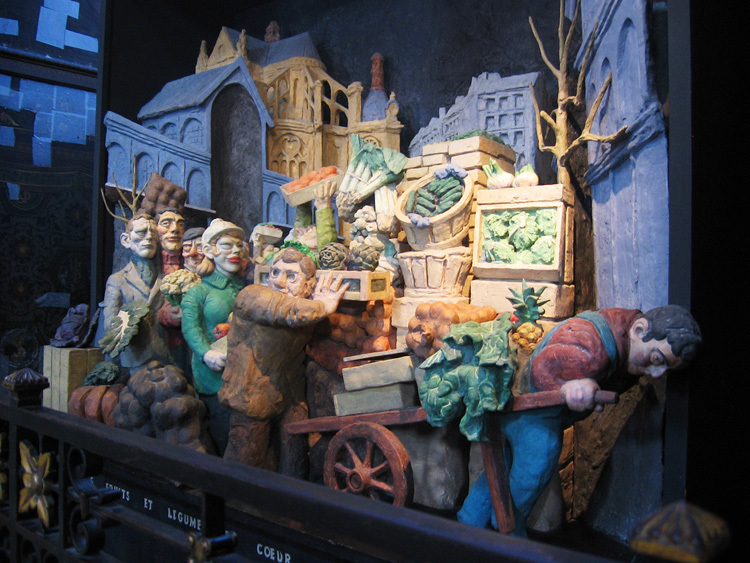 "Le départ des fruits et légumes du coeur de Paris, le 28 février 1969" — the departure of fruits and vegetables from the heart of Paris, February 28, 1969 — is a sculpture by Raymond Mason symbolizing a transformation of the Les Halles neighborhood. 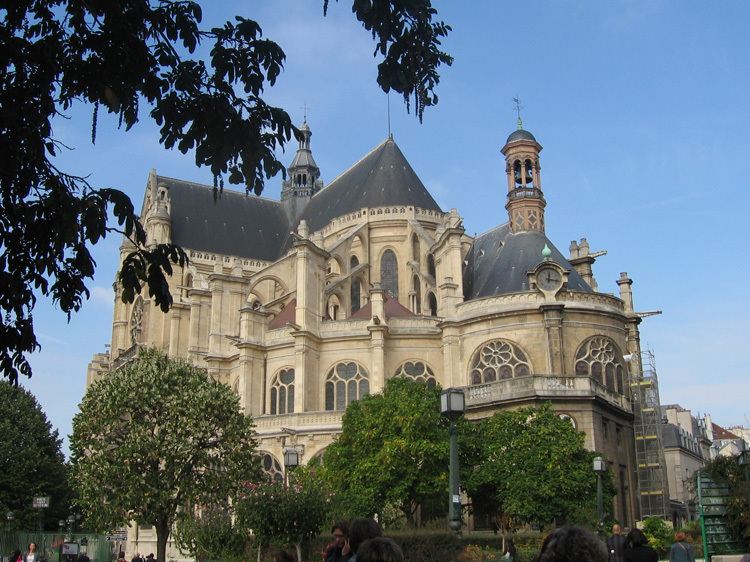 This part of Paris was historically a huge and bustling marketplace, going all the way back to at least the late 12th century! 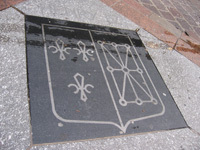 In fact, the notoriously crowded streets of this marketplace formed the trap where King Henri IV was assassinated back in 1610. Anyway, by 1969 the area was so crowded and Paris was growing and modernizing so much, the market was forced to move out of Paris, to a town a few kilometers away, called Rungis. 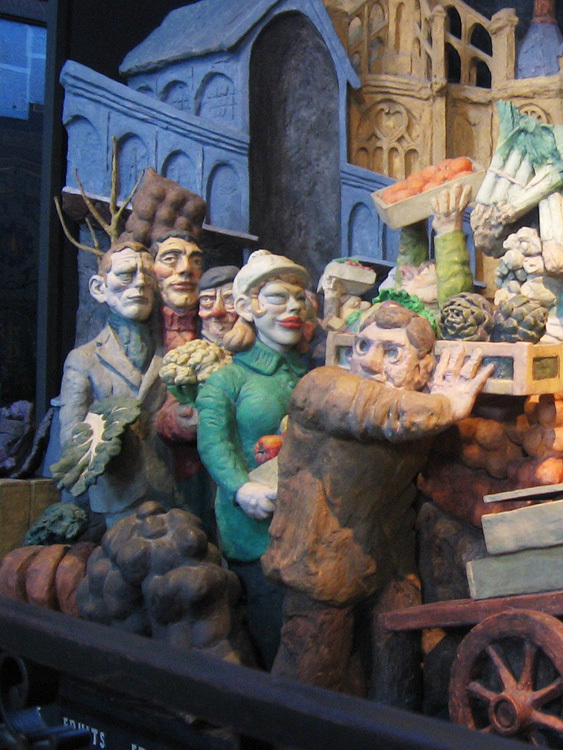 It's now called Le Marché d'Intérêt National de Rungis, and it's said to be the largest food market in the world. 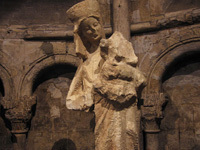 You can see the Église Saint-Eustache in the background of the sculpture; it's that yellow-ish building there. And there's also this great big head outside for some reason. Nowadays Les Halles is mostly known for the big underground shopping mall that's there (Le Forum Des Halles), and a large park that's situated right between the mall and the church. You can see both of these on this map. 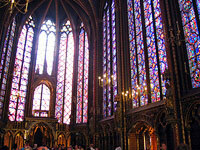 All this stuff is right in the center of Paris, so check it out when you're visiting! 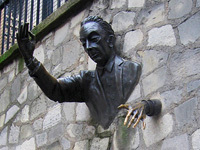 The Passer-Through-Walls; a neat sculpture in Montmartre.